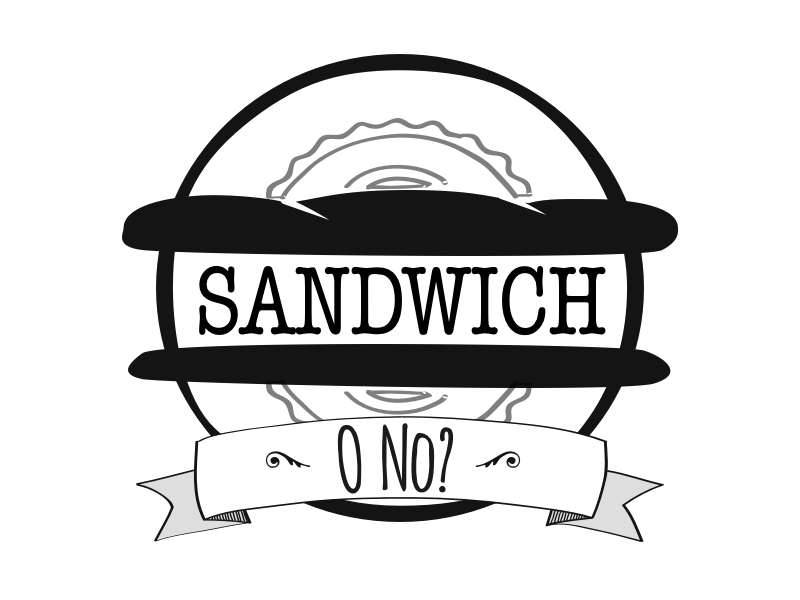 Logo for a new podcast called: Sandwich o No. Retro-vintage stamped style with typewriter typography and banner. Made in Sketch.